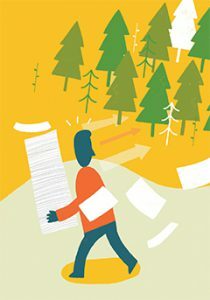 When it comes to the environment, going paperless isn’t all its cracked up to be. Paper is one of the most renewable resources on our planet with one of the lowest industrial carbon footprints. Thanks to responsible forestry and mindful paper sourcing, our forests are increasing every year. Supporting responsibly made paper means that printing helps grow trees! Greenhouse gases from the Information and Communication Technology (ICT) industries are on the rise. If left unchecked, this industry will make up 14% of the global greenhouse gas inventory by 2040. By comparison, pulp, paper, and print combined only make up 1% of the world’s greenhouse gases. The paper and print industries are some of the lowest emitters. Technology is here to stay. Digital communication is an integral part of any marketing strategy. Print is not an adversary of digital communication. In fact, print reinforces digital communication and vice versa. The lesson here is in understanding which practices are most effective at going green. Going paperless may save money but it doesn’t save trees. Responsible forestry saves trees. If you really want to do something positive for the planet, reduce your dependency on single-use plastics and recycle more. Net forest area in the United States has increased by more than12 million acres since 2005. This is due, in large part, to responsible forestry practices and strict certification standards. Responsible forestry pursues a balance between harvesting and new growth. Thinning forests rather than clear-cutting helps keep forests healthy and reduces fire risk. Heathy forests equals a healthier planet. 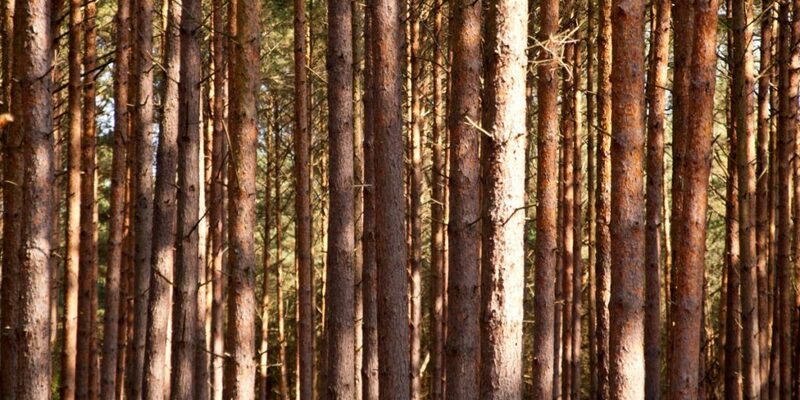 One of the most recognized certifications comes from the Forest Stewardship Council (FSC). The FSC promotes environmentally appropriate, socially beneficial, and economically viable management of the world’s forests. QSL sources its paper from FSC certified vendors. Where we get our paper matters. Roughly 10% of the worlds forests are certified and most of those forests are in North America. That is not enough. Supporting certified forest management and paper production helps grow trees. Get in touch — lets print stuff!